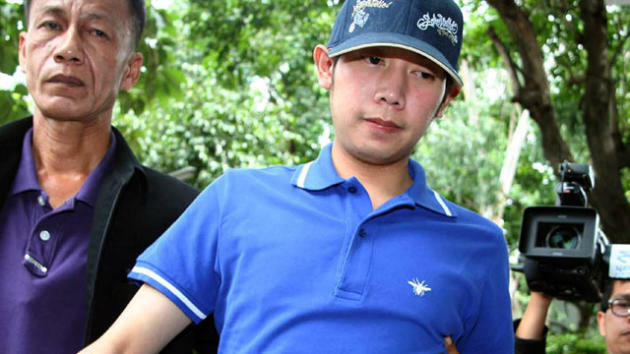 An heir to the Red Bull energy drink fortune was arrested after he fatally hit a policeman with his Ferrari, dragging the officer's body down a Bangkok street early this morning, police said. Vorayuth Yoovidhya, 27, admitted to investigators that he had been behind the wheel of his Ferrari when he struck the policeman, but claimed the officer had abruptly cut him off, the Associated Press reported. A log book keeping track of the family's vehicles also indicated Yoovidhya had been behind the wheel at the time of the accident, despite the fact a household employee tried to take responsibility, the newspaper reported. Yoovidhya's lawyer said his client was still in shock and that he was prepared to offer funeral expenses and compensation, the Bangkok Post reported.